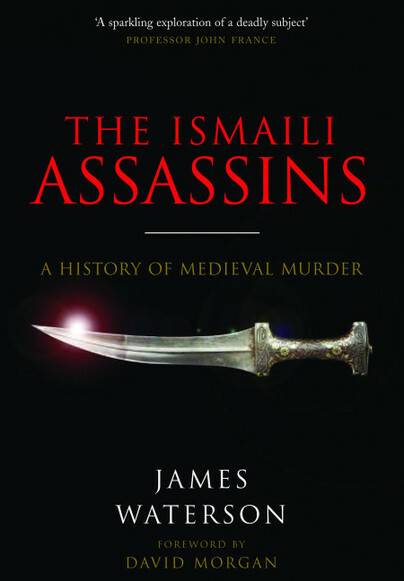 You'll be £11.99 closer to your next £10.00 credit when you purchase The Ismaili Assassins. What's this? The Ismaili Assassins were an underground group of political killers who were ready to kill Christians and Muslims alike with complete disregard for their own lives. These devoted murderers were under the powerful control of a enigmatic grand master who used assassination as part of a vast strategic vision that embraced Egypt, the Levant and Persia – even the court of the Mongol Khans in faraway Qaraqorum was not beyond the reach of his shadowy followers and their blades. The Assassins often slayed their victims in public, cultivating their terrifying reputation. They assumed disguises and their weapon of choice was a dagger. The dagger was blessed by the grand master and killing with it was a holy and sanctified act; poison or other methods of murder were forbidden to the followers of the sect. Surviving a mission was considered a deep dishonour and mothers rejoiced when they heard that their Assassin sons had died having completed their deadly acts. Unsurprisingly, their formidable reputation spread far and wide. In 1253, the Mongol chiefs were so fearful of them that they massacred and enslaved the Assassins’ women and children in an attempt to liquidate the sect. The English monarch, Edward I, was nearly dispatched by their blades and Richard the Lionheart’s reputation was sullied by his association with the Assassins’ murder of Conrad of Montferrat. The Ismaili Assassins explores the origins, actions and legacy of this notorious sect. Enriched with eyewitness accounts from Islamic and Western sources, this important book unlocks the history of the Crusades and the early Islamic period, giving the reader entry into a historical epoch that is thrilling and pertinent. JAMES WATERSON is a graduate of the School of Oriental and African Studies at the University of London, and received his Master’s Degree from the University of Dundee. The author of a number of books, he travelled and worked in the Middle East, the United States and China for a number of years but now calls Tuscany home and Dubai ‘the office’. He lives with his wife Michele and a number of spoilt pets and he only ever leaves Italy when he is really, really short of money.